Please use our casio camera battery finder to check which battery your camera needs. If you have a super-slim credit-card sized camera such as Casio Exilim that uses Casio NP-20 - you definitely need a second battery to be able to take over 100 shots a typical outing or a wedding would require. Considering how thin this battery is - you can take a couple just in case. 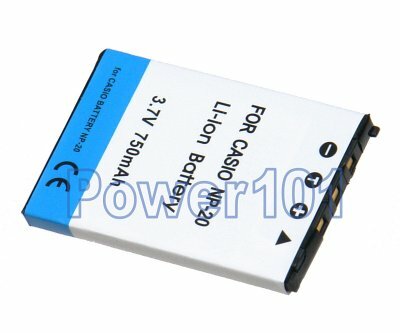 This battery is compatible with all cameras using Casio NP-20 battery. Most common models are: EX-S1 EX-S2 EX-S3 EX-S20 EX-S100 EX-S500 EX-S600 EX-S770 EX-M1 EX-M2 EX-M20 EX-Z3 EX-Z4 EX-Z5 EX-Z6 EX-Z7 EX-Z70 EX-Z75. Please check your camera with our camera battery finder. 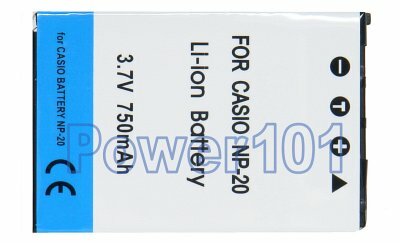 This battery can be charged with any charger compatible with Casio NP-20 batteries. Such as the charger that comes with your camera.